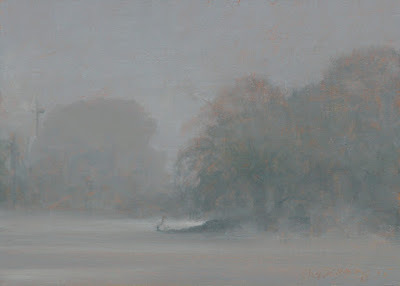 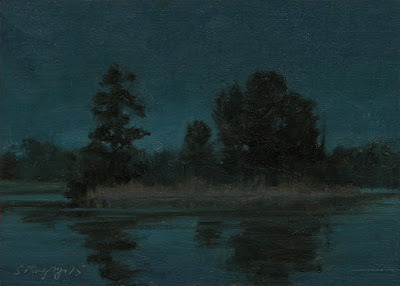 This landscape painting is a view of fog and mist over Lake Okonoka on Belle Isle Park.Click on image for larger view. 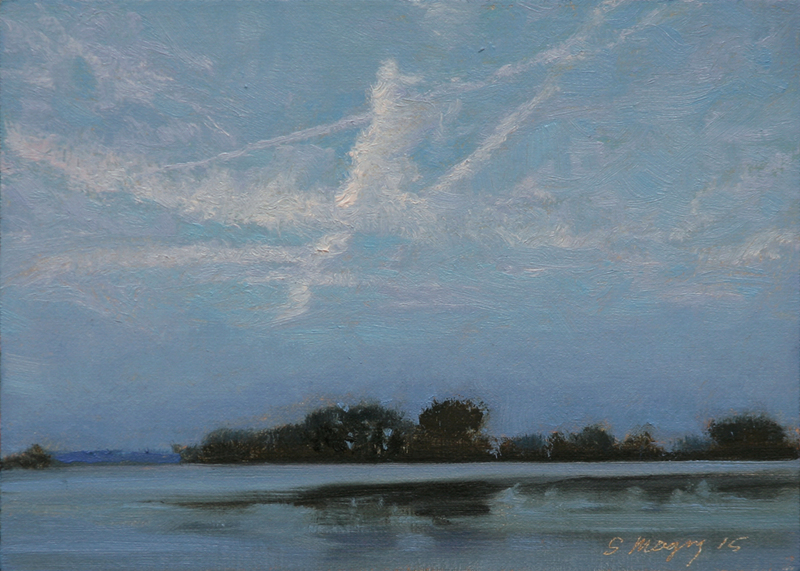 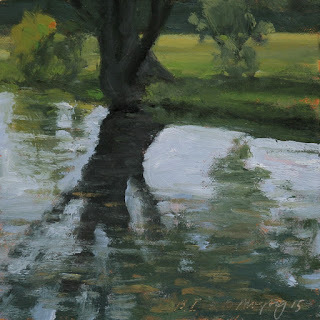 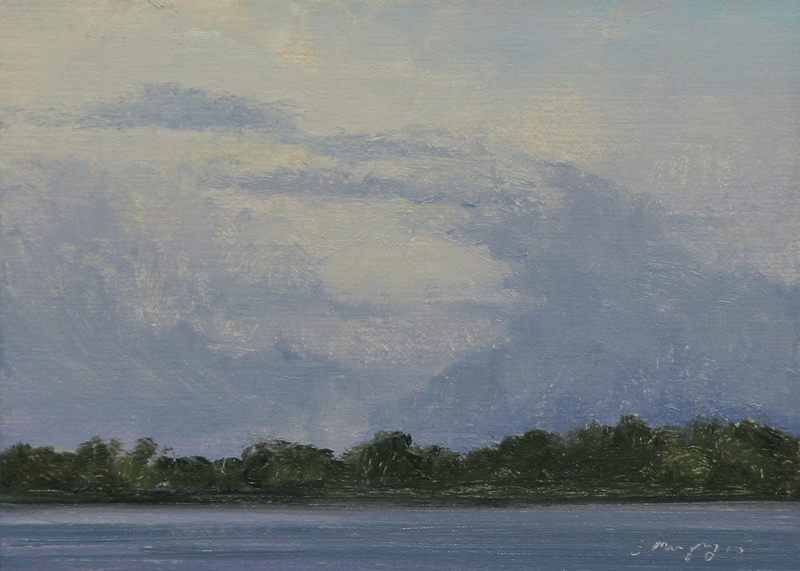 This landscape painting is a study of light and clouds on a warm summer evening over Belle Isle Park. 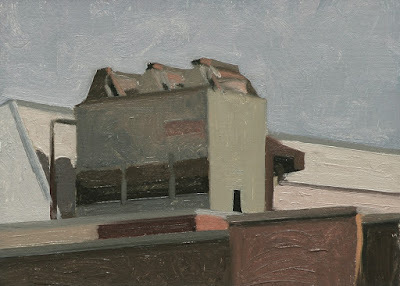 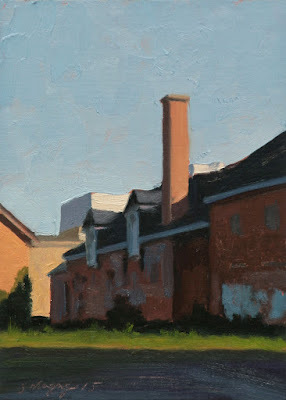 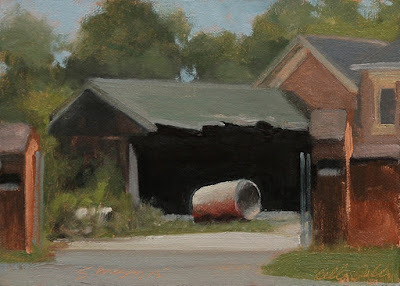 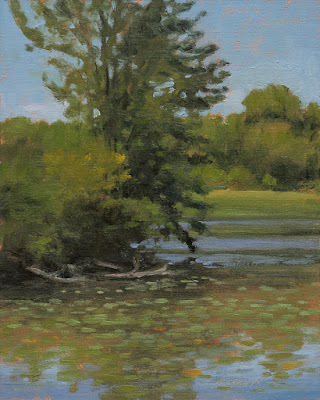 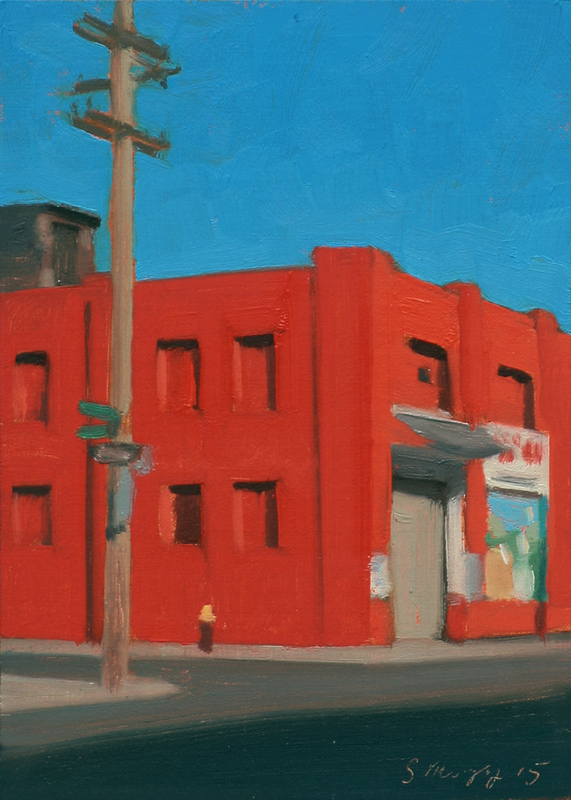 This Plein Air landscape painting is a view of building from Central Ave on Belle Isle Park on a summer day. 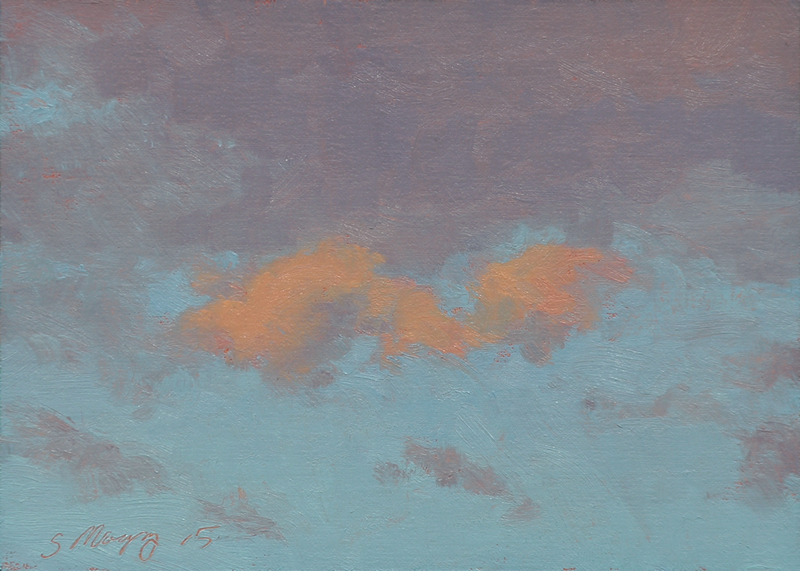 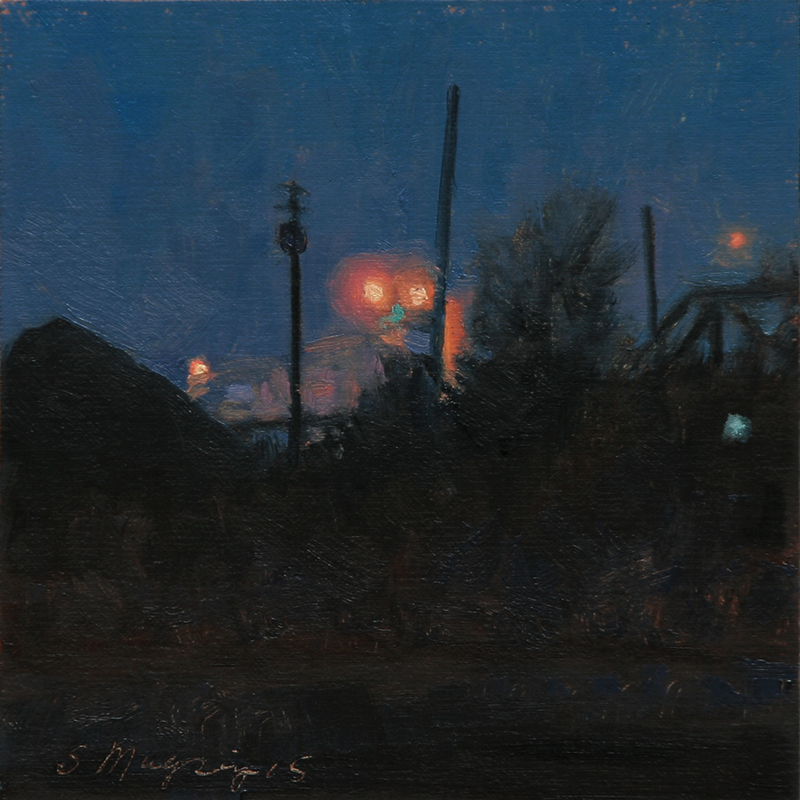 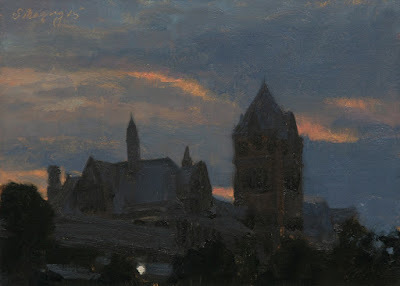 This landscape painting is a detail study of clouds on a warm summer evening over Detroit. 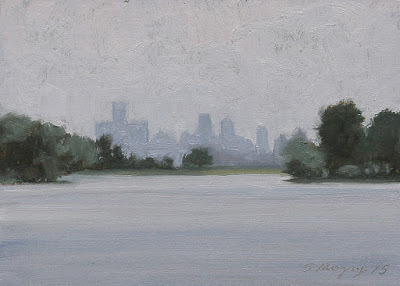 This landscape painting is a view of the Detroit Skyline and Belle Isle Park on a hazy summer evening.